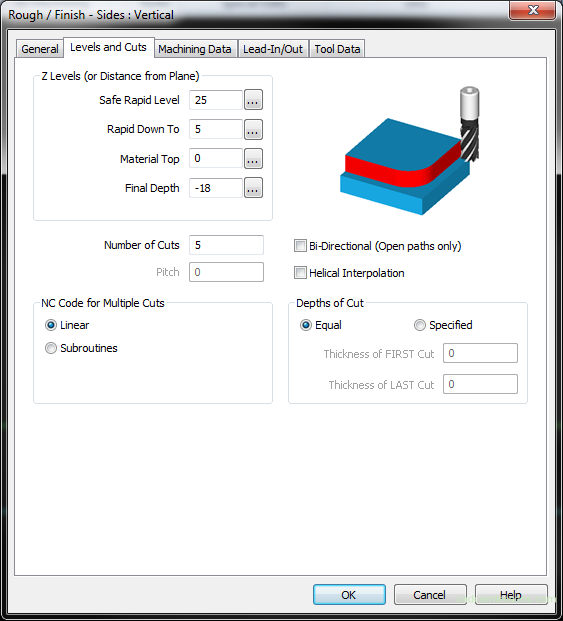 In the Levels and Cuts tab we have a few important parameters. One of them is the Number of Cuts. At this point, we have full depth machining in one pass. In some situations this can be difficult to do. 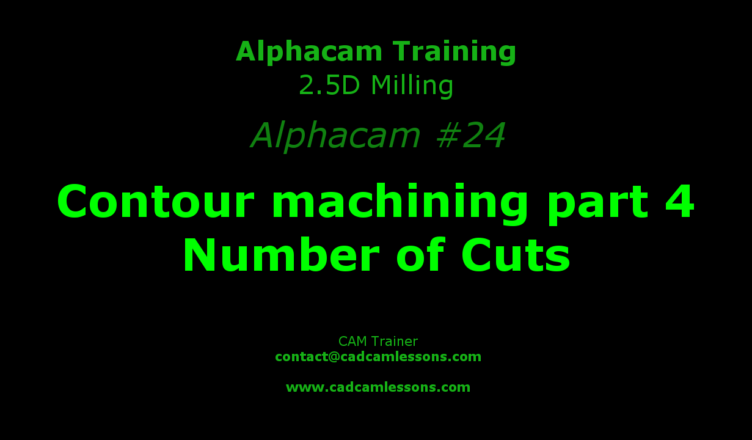 It is better to divide machining into several Z-axis passes. We will get 5 equal Z-axis passes. Of course, we can set, for example, 10 passes.